TICKETS: The Go Goodwin’s Manchester Storm are back in action on Saturday 28th January as we face the Dundee Stars in EIHL action. Faceoff is at 7 pm and tickets can be ordered online, by calling the box office on 0161 926 8782, or in person at the box office! The Fife Flyers webcast providers, 247.tv have offered a special discount to all Storm fans for tonight’s game! Around 50% of viewers had issues on certain browsers during the 1st period of the above match. This was due to a player upgrade (for security reasons) but sadly they had released it with a bug in it. We resolved by rolling back to a previous version and then we were fine. All live viewers from that match have already been given the Replay for free (if you want to re-watch the first period) but as an extra, we are also going to give you the next Flyers v Storm match for £5 provided you had paid for the 8th Jan match (and it doesn’t matter if you had problems or not so consider it a late Christmas present). 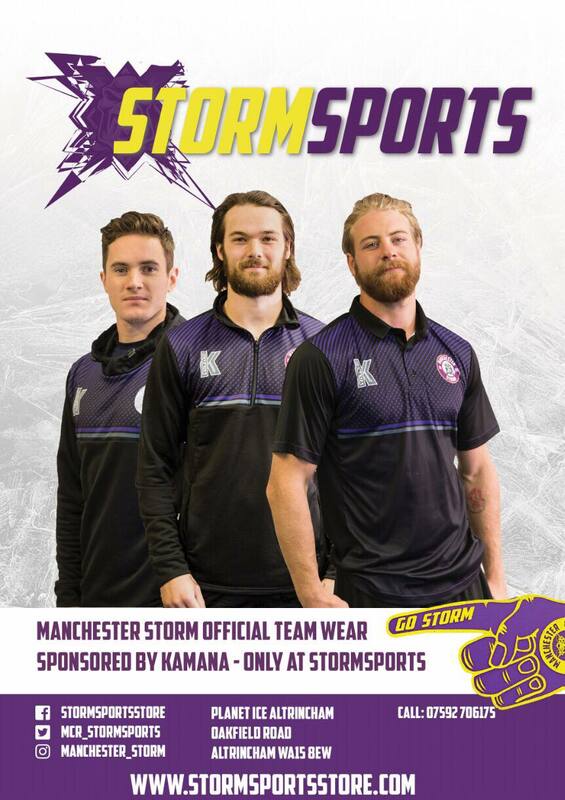 Storm Take Point On The Road!